Having a Halloween party? 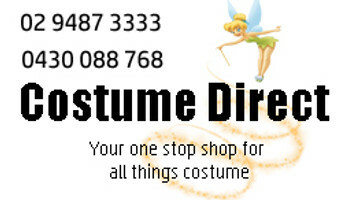 Costume Direct online has all the Halloween Decorations and Accessories you need with fast shipping Australia wide! Whether you are searching for fake blood or limbs, a wig or facepaint to complete your disguise, or a horrifying mask, you have come to the right place. We at Costume Direct pride ourselves on our range of fear-inducing Halloween decorations and accessories, to leave your party guests weak at the knees and with haunted dreams all the way into November. We have blood-stained chainsaws from the Texas massacre, and face makeup to transform into ghouls, witches or pirates. We have skeletal tights, vampire teeth and warty witch noses. For your home's Halloween-themed renovation, we have coffins to keep your drinks cool, lit up pumpkins and stretchable spider webs to string from the ceiling. From the creepy to the crawly, the slimy to the spooky, your mind will run wild with all the possibilities our Halloween accessories can offer!